We bring significant expertise in the area of IT Consulting, Business Process Management and System Integration in achieving ease of operations. We align business with Technology and help integrate complex hardware and software components to achieve business strategy goals. 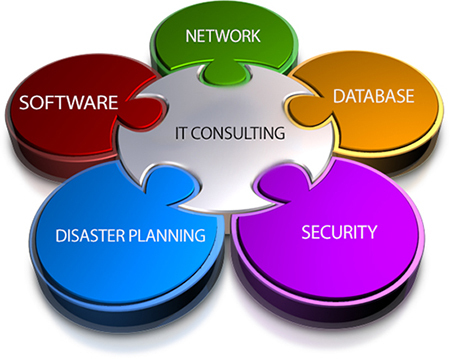 Apart from this, we offer consulting services in optimizing existing hardware and software to align with the business strategy. Very few people in the country can achieve business results – which supports faster deployment, is cost effective, has high business impact and GUI is aligned with human behavior. Our founders have in depth knowledge of all the business verticals and have been delivering proven IT solutions with strong ROI. Business acumen coupled with IT knowledge, our solutions are cost effective and agile to external environments such as customer behavior, competition and market changes. High-end technology companies offering large scale and specialized projects for Government find partnering with us extremely effective. We choose to support and enable those companies who deliver tangible results and bring real development pertinent to creating positive societal impact across recipient sections. All senior members in this SBU have been delivering solutions to Fortune 500 and large size organizations across continents.